We all know Democrats are against Judge Brett Kavanaugh’s nomination to the Supreme Court. Kavanaugh is everything under the sun: he’s anti-worker, anti-woman, and an extremist on Second Amendment rights. He’s not any of these things, by the way. Still, it’s an effective scare maneuver, as Election Day draws nearer. Sen. Chuck Schumer (D-NY) has already said he’s going to fight Kavanaugh with everything that he’s got at his disposal. It’s not much and whatever attacks they have were flubbed in the opening salvo. They also didn’t use the right picture of Judge Kavanaugh in their initial attack. They used a photo of Judge Thomas Hardiman. I was elected to represent all Pennsylvanians. I was not elected to genuflect to the hard Right, who are funded by corporate America. Casey also took a hit at the Heritage Foundation, calling it an “extreme Right organization,” claiming the group strives to cut Medicaid and accused Heritage of calling labor unions "cartels." Yeah, that’s another funny aspect with this fight: how Heritage and the Federalist Society have been smeared as facets of some secret consortium akin from the X-Files because they’ve vetted and picked a solid list of judicial candidates from which the Trump White House can make their own conclusions when vacancies such as these present themselves. 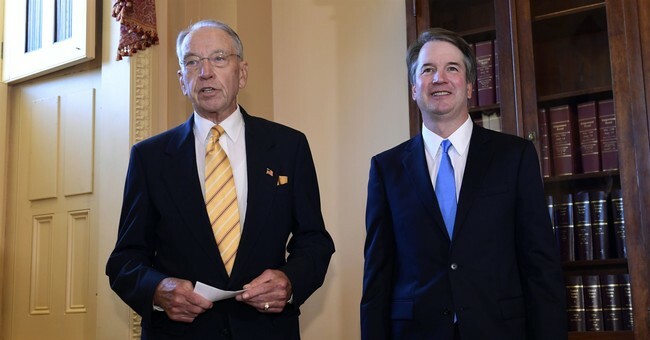 The fact is that Kavanaugh is a solid pick. He’s mainstream. He’s winning over the small, though powerful moderate GOP faction in the Senate; without Collins and Murkowski we could be sunk here. And his credentials are next to none. If the GOP remains united, the game is over, though I feel a couple red state Democrats will do the right thing and cross over on this nomination. For a side that’s vowed to fight to the bitter end, the opening salvo was a disaster. At least know the face of your enemy. Still, there’s a lot of time and more dirty tricks up the Left’s sleeve. This could get brutal fast. So, this isn’t the end game here with these failed opening shots at Kavanaugh, but it should give everyone confidence that their opening shots blew up in their faces.